of one of my recent journal pages. I tend to be a very "clean and simple"
than I normally would make. 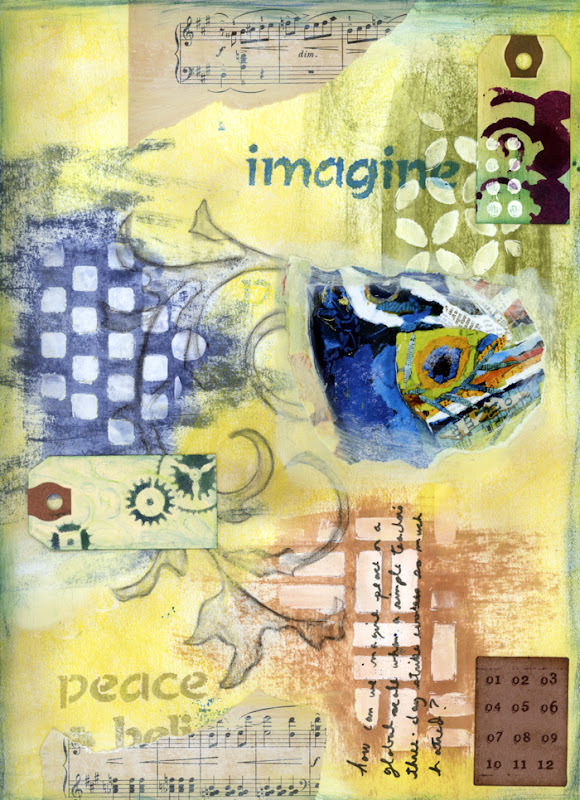 words "imagine", "peace", and "believe"
imagine peace to achieve it. I wonder if we can ever get to that point. appropriate word to use, but you get my drift. in our news media, tv programming, and everyday lives. and carefully limit the people I have around me. But we can't do that all the time, can we? Anyhow, just some rambling thoughts there. This is really a lovely piece, Joyelle. Very creative. Nice to stretch once in a while, ey?